Experience your very own Autumn adventure at Go Ape this October break with 20% off valid for a limited time only. With the October break fast-approaching heralding the last golden days of autumn, it’s the perfect time for Scots to live life adventurously at Go Ape in Aberfoyle, Peebles or Aberdeenshire. 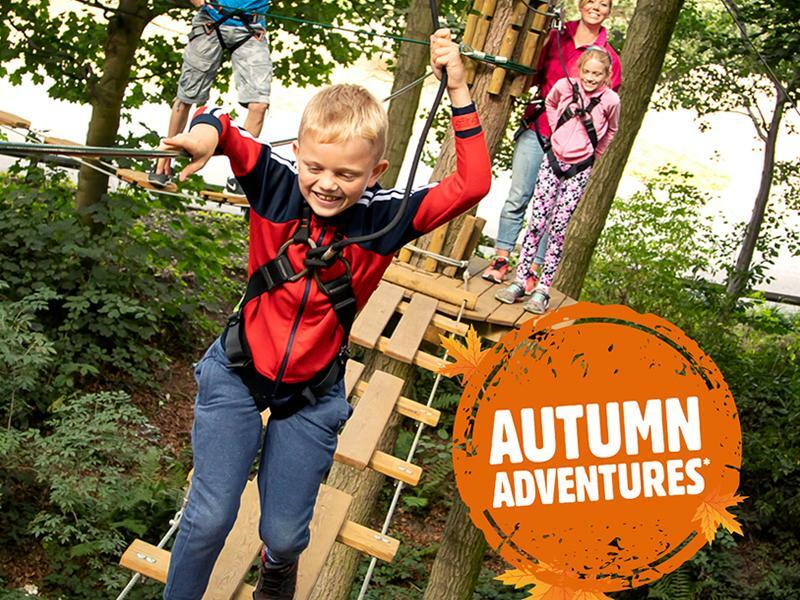 In order to keep kids happy during the October holidays, Go Ape’s Tree Top Adventure is the ultimate day out as unforgettable memories are made whilst exploring the forest from above, navigating obstacles, crossing bridges, leaping off Tarzan swings and flying down zip wires. The leading outdoor forest adventure experience has three locations across Scotland, each home to a Tree Top Adventure set within some of the country’s most stunning locations. • Go Ape Aberfoyle in Stirlingshire, located in Queen Elizabeth Forest Park, is home to two of Britain’s longest zip wires, each stretching over 400m long, flying people 150 feet above the ground and over a 90 foot waterfall. • Go Ape Peebles is built on a hillside within the striking Glentress Forest and takes advantage of the valley for some jaw-dropping exposure which challenges the laws of gravity thanks to the country’s highest zip wire which is 160 feet high! • Go Ape Crathes Castle in Aberdeenshire is located in the landmark grounds of the 16th century castle. With turrets and towers, winding staircases and ancient sculpted yew trees; historic Crathes Castle’s 595 acre estate offers a fantastic day out.